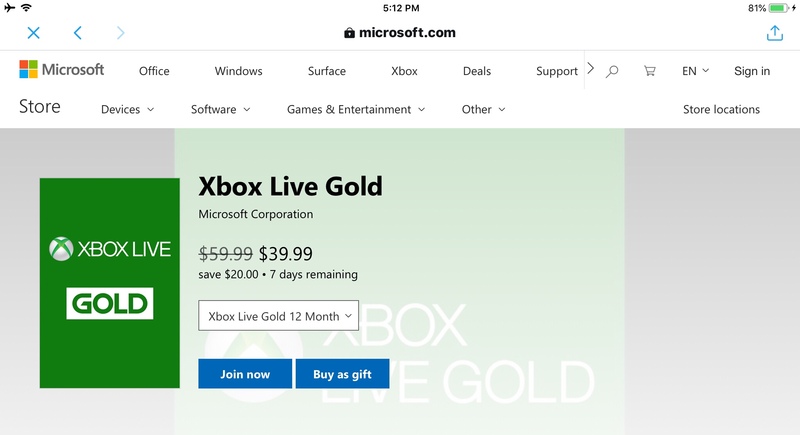 Usually the 3 month Xbox Live Gold Membership is $24.99 (US $) and the 12 month Membership is $59.99 (US $). For this special, from Microsoft, the deal price is $9.99 for the 3 month Membership and $39.99 for the 12 months Membership. The offer is expected to be available until Aug. 1, 2018.